The Republic Records-released song sees the duo swearing off negativity while basking in their own confidence, claiming success like properties from the track’s name. “Bad vibes, get off of me/ Outta here with that fuckery/ Treat my goals like property/ Collect them like Monopoly,” sing the pair. 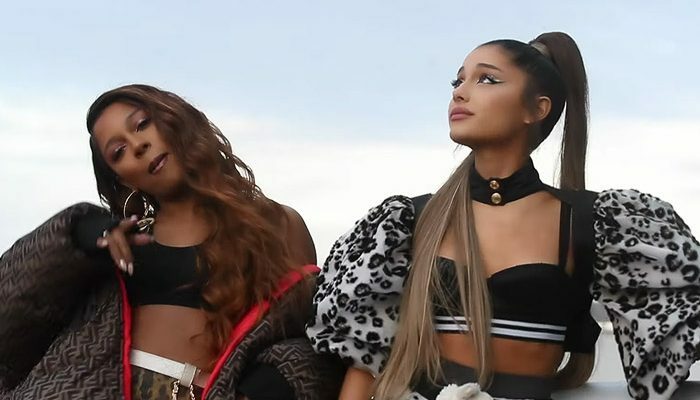 Both Grande and Monét tweeted out that the recording was meant to serve as a “thank you” to their fans for their support “Thank U, Next” and “7 Rings,” along with other selections on the Sweetener and Thank U, Next full lengths. The accompanying visual sees the bop-making team dancing around a rooftop in home-video-like fashion parodying memes, with the two tossing away text like “haters,” “negativity” and even “Trump,” while taking in good vibes like “healing,” “loyalty” and “light.” Listen to and watch the official video for “Monopoly” below.